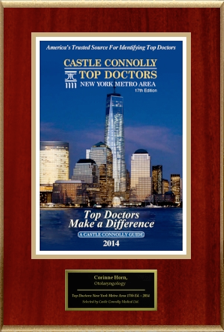 Dr Corinne Horn is a specialty-trained facial plastic and reconstructive surgeon at the New York Otolaryngology Group with two locations in NYC and one location in Staten Island, NY. Dr. Horn earned her medical degree at Columbia University College of Physicians & Surgeons, and completed her otolaryngology residency at New York-Presbyterian Hospital (recently ranked one of the top 10 hospitals in the country by U.S. News & World Report magazine). She completed her fellowship training in facial plastic and reconstructive surgery under renowned facial plastics surgeons J. Regan Thomas and Dean Toriumi of the University of Illinois at Chicago Medical Center. 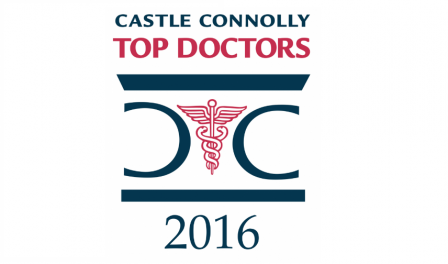 Patients come to Dr Corinne Horn for a full range of cosmetic and reconstructive surgical services. These include aesthetic treatments (Botox®, Restylane, Juvederm, dermabrasion, and microdermabrasion) and minimally invasive facial plastic procedures (facial liposuction; endoscopic forehead, brow and midface lift; and lip and cheek augmentation). She also performs a full range of cosmetic surgical procedures (nose reshaping, eyelid surgery, face and neck lifts, and ear recontouring) and reconstructive facial surgeries (such as nasal valve repair, local lesion excision, skin cancer reconstruction, and scar revision). 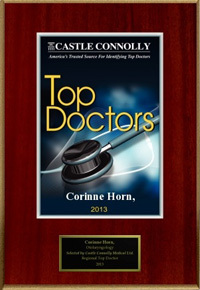 In addition to her ongoing clinical work, Dr Corrine Horn has presented her research findings at professional conferences, and has published numerous articles and chapters to broaden the medical community’s understanding of the latest treatment innovations and surgical techniques in facial plastic and reconstructive surgery. 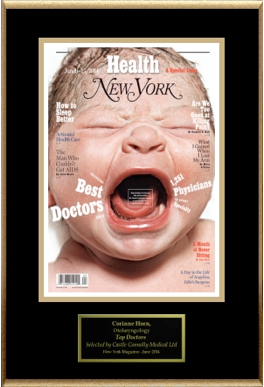 Dr. Horn has been named a New York Super Doctor for 2013. This will be featured on May 19, 2013 in The New York Times Magazine.